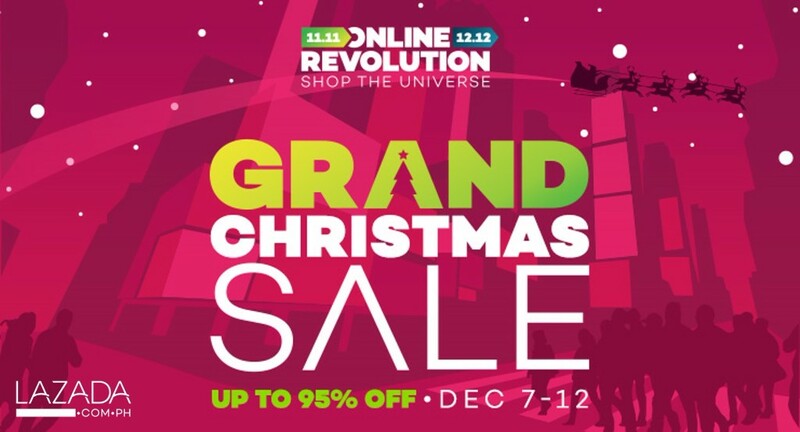 Say goodbye to heavy traffic, long queues, and congested malls as Lazada.com.ph, empowers you to browse and shop for products discounted up to 95% off, 24/7. The sale which is participated in by top brands like Olay, Nestle, Ponds, Lenovo, Casio, Adidasstarts December 7 and ends on December 12. Filipinos celebrate the longest Christmas season in the world. And what truly makes this season special is the tradition of gift-giving. Find the most thoughtful gift ideas during the Grand Christmas Sale decked with over four million deals, perfect for any budget. Some customer favorites in the line-up are the Hot Wheels On-the-go Track Set at Php 350,Adidas shoes for as low as Php 1,437, a Samsonite Red Claytton Backpack at Php 2,667,a 7’ Lenovo Tablet at Php 2,699, a Samsung Microwave Oven at Php 3,299 and a 3-piece American Tourister luggage set at Php 11,999.